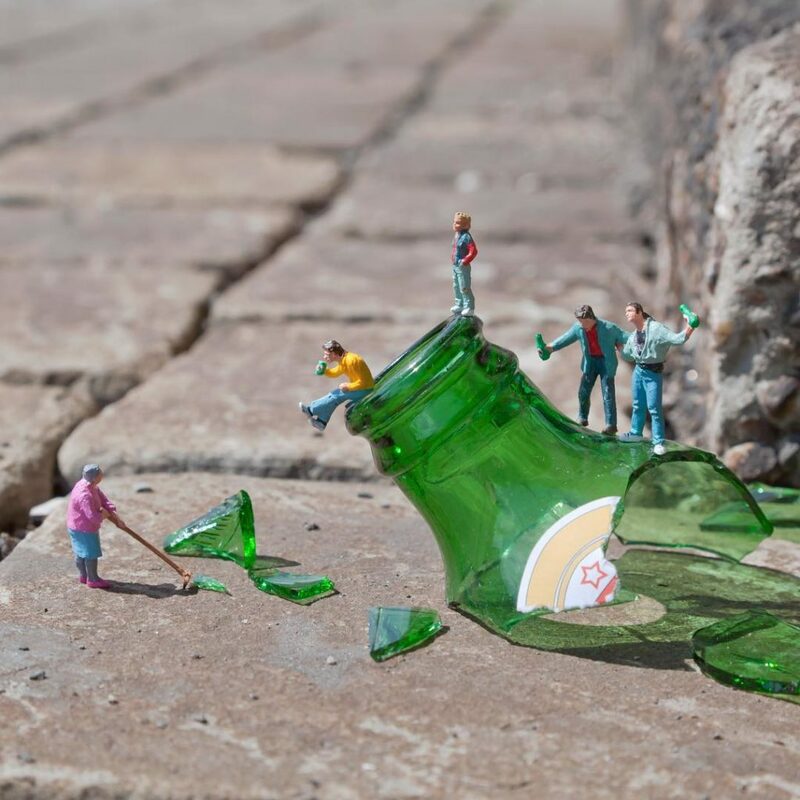 Slinkachu has been “abandoning” his miniature people on the streets of cities around the world since 2006. His work embodies elements of street art, sculpture, installation art and photography and has been exhibited in galleries and museums globally. His images have been collected in three best-selling art books; Little People in the City (Boxtree, 2009), Big Bad City (Lebowski, 2010) and Global Model Village (Boxtree, 2012) that have collectively sold over 300,000 copies worldwide.